Bedtime Quran Stories is a collection of more than 20 Quran stories to read, love and cherish. The easy-to-read text and bright, full-colour illustrations on every page make this book a perfect way to introduce little ones to the stories, prayers and teachings of the Quran. T e simple, short and beautifully narrated stories highlight key aspects of the Quran— love, humility, obedience, patience and trust. 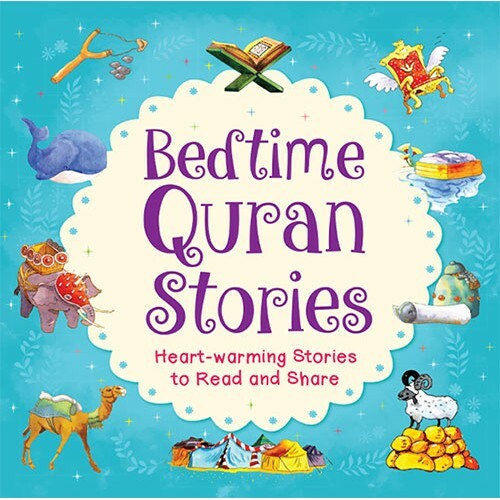 Full of faith, teachings and fun, Bedtime Quran Stories is a wonderful gift for any child.